The Loop Stand Collection is a series of furniture designed by Leif Joergensen for HAY. The collection consists of basic and usable furniture at affordable prices. Loop Stand is a simplification of the industrial trestle and designed with three legs. It is a collection of trestles in two heights – dining table and high table; in square and round – as well as wardrobe stands in two lengths. Inspired by traditional trestles Loop Stand uses a simple idiom which lays emphasis on a three dimensional and graphic look. The Loop Stand Dining trestle was originally designed for the fashion/art shop Storm in Copenhagen where Leif Joergensen designed the interior. 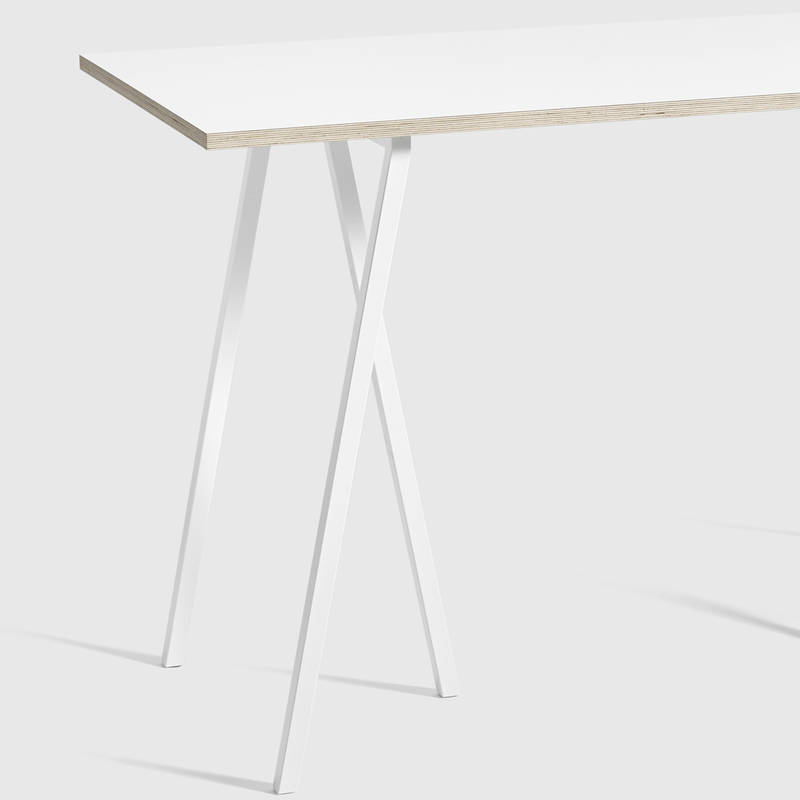 In the case of an intense use, Hay advises the use of a supporting frame, for stability and to hold the table top correctly. 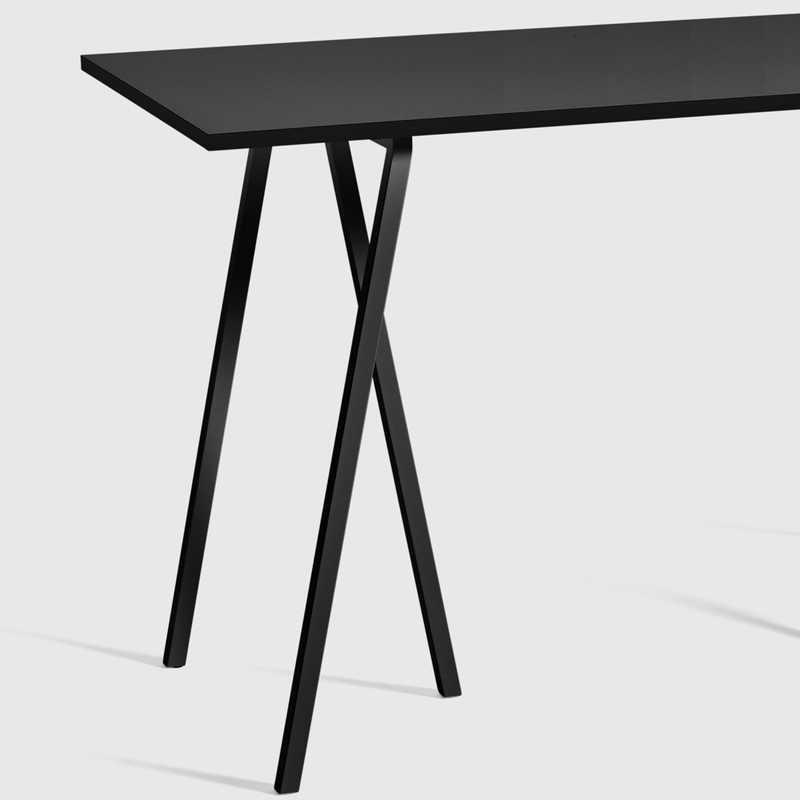 For stability, a Loop Stand Support is recommended for all rectangular tables.